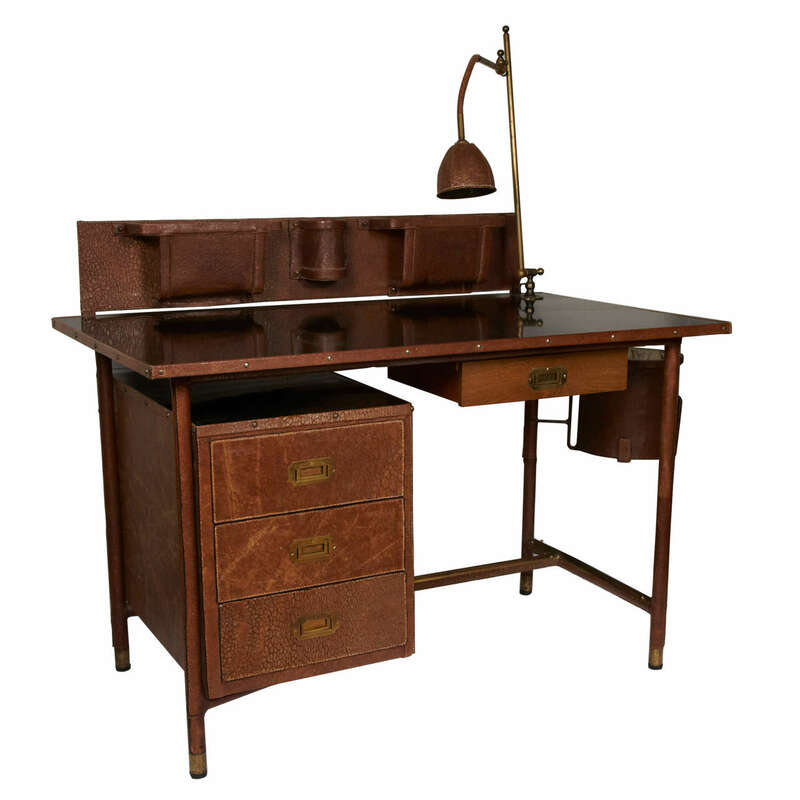 Rare Jacques Adnet desk with lamp, book rack and bin. 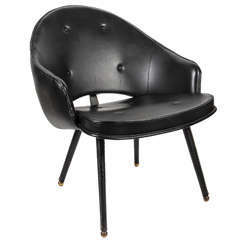 1950s stitched black leather armchair by Jacques Adnet. 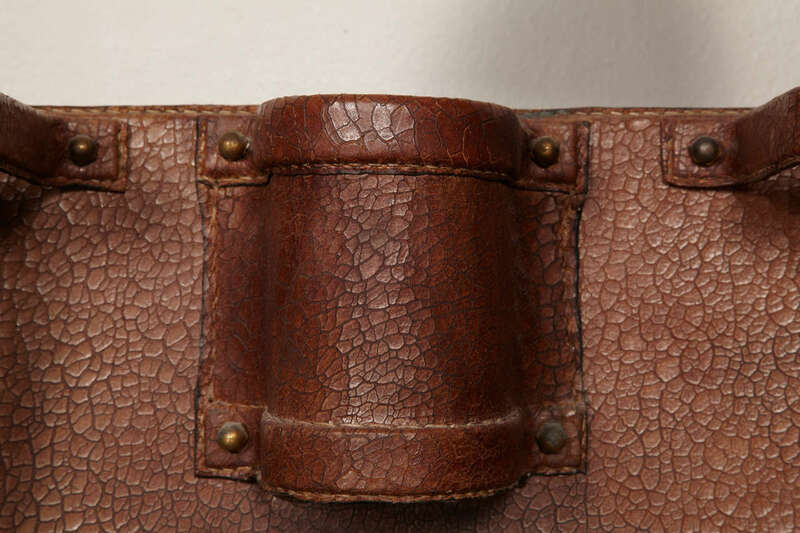 Leather have been changed by a worker of Hermes firm. 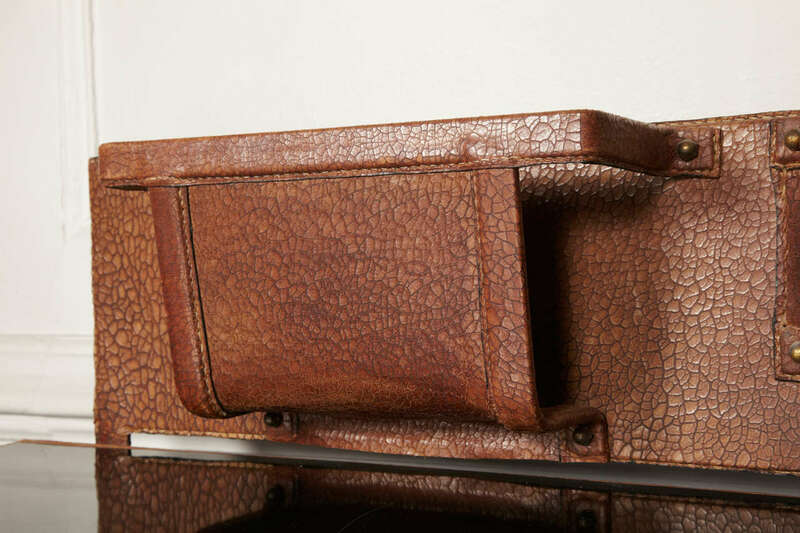 Very nice stitched leather box Very good condition. 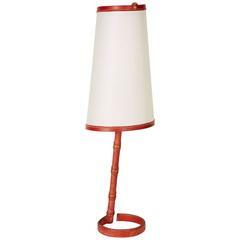 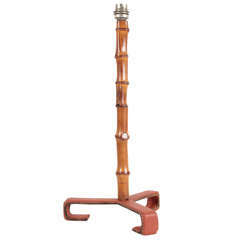 Bamboo and stitched leather table lamp. 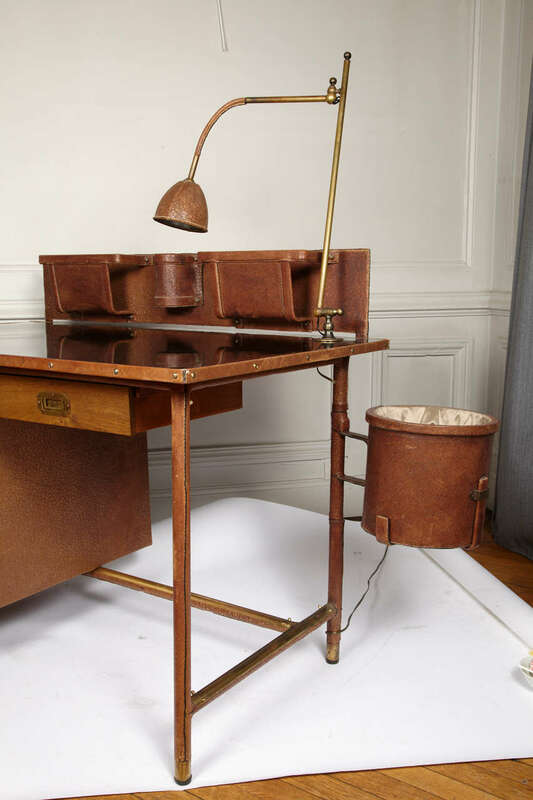 By Jacques Adnet. 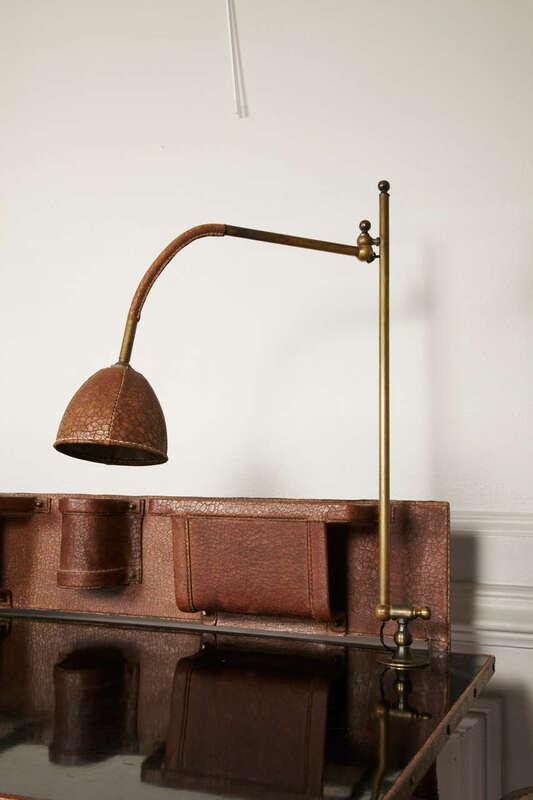 Nice stitched leather table lamp. 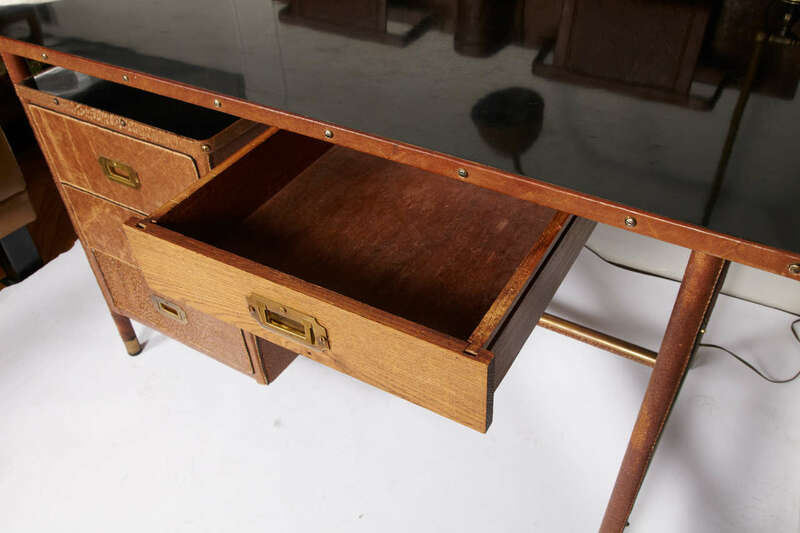 Very nice neoclassical stitched leather desk with oak top Perfect condition. 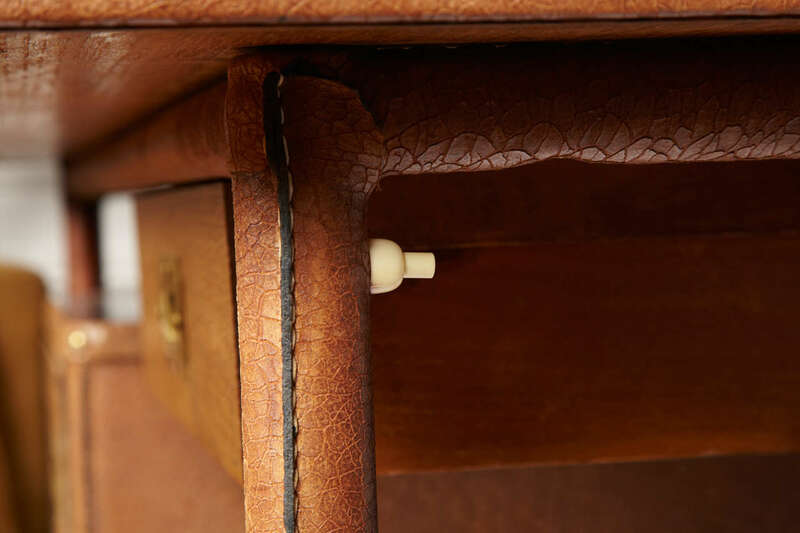 Neo classic stitched leather desk. 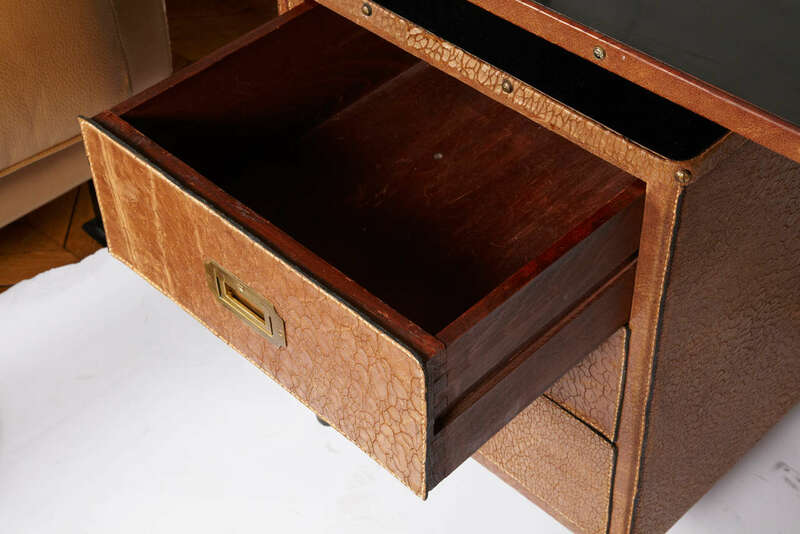 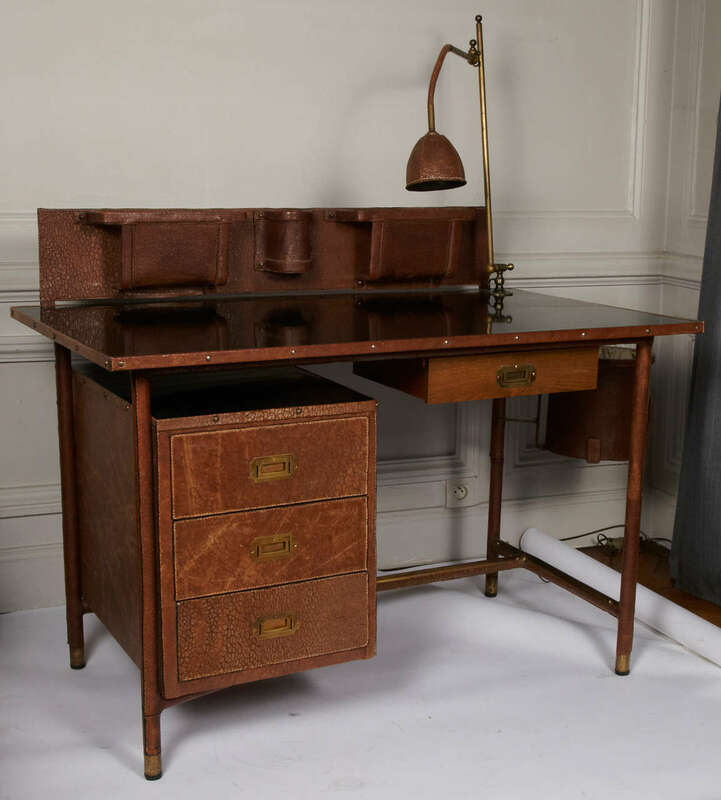 Jacques Adnet: A fine French midcentury mahogany desk with a leather top and bronze details. 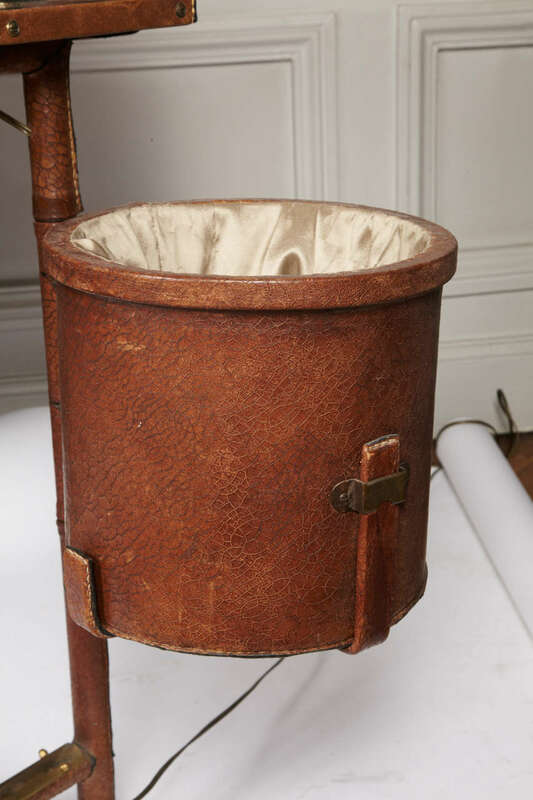 Provenance: Palais des Consuls of Rouen, France.